Not only that, but there is also mouse-shaped bread. Nexon might be best known for its online games, but as pointed out by tipster Sang, the cafe at the company’s computer museum in South Korea is serving up some imaginative treats. Keyboard waffles! Yes, yes, yes!! 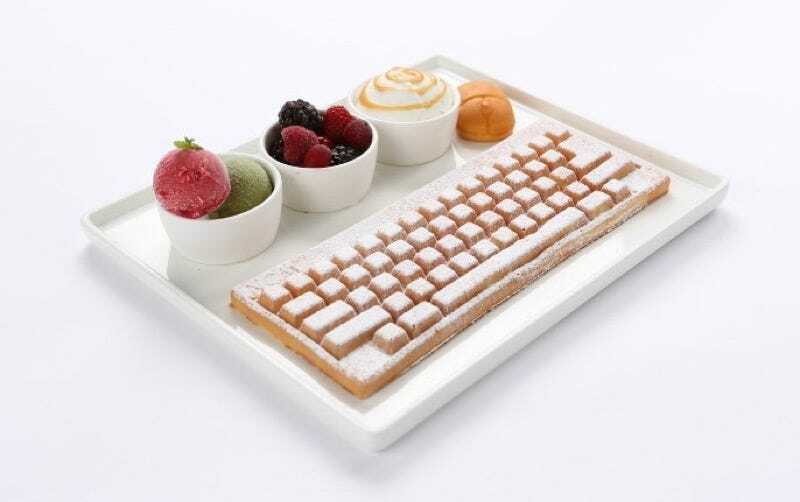 I want to eat a waffle keyboard with a fork! And then, stuff my face with those mouse-shaped snacks. Located on Jeju Island in South Korea, the Nexon Computer Museum houses classic computers, consoles, and arcade cabinets. If you are in South Korea, it certainly looks worth checking out.